A full head of hair is a hallmark of youth and vitality. 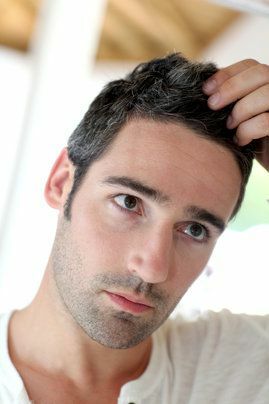 Many people who struggle with hair loss are dissatisfied with their appearance, but are concerned that treatment results may look unnatural or obvious. The hairline is the key to developing the most natural-looking results for any hair restoration treatment. At True & Dorin, our experienced doctors can create a hairline that is not only aesthetically pleasing, but also will complement a patient’s features.Dr. Robert Dorin is known for his talent for hairline design in the New York area, and tailors each treatment to address the patient’s aesthetic concerns, treatment goals, and overall appearance. To schedule a consultation, contact our office today. By using single follicular unit grafts, True & Dorin can create the illusion of full hair. We use a technique that staggers the grafts into the thicker body of hair, effectively creating a graduated zone that is very important in creating a natural appearance. If you look at a full, dense hairline, you will notice that there are no straight lines or hairs organized in neat rows. 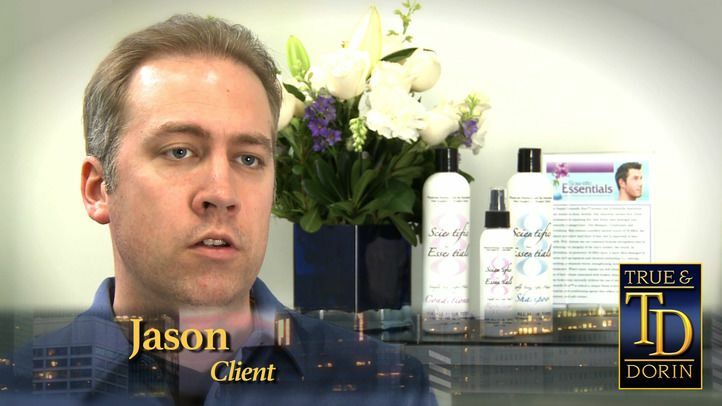 Early hair restoration treatments often made the mistake of trying to create hairlines that were too uniform. Our hairline design experts mimic nature by placing the grafts at different angles and depths for a pleasant and realistic look. Our doctors are careful to make sure each hairline shape complements the patient’s facial features and contours of their head. For example, we take the time to ensure that patients with wider face shapes are given hairlines with a wider arc to correspond with the naturally occurring lines of their hair. It is important to take into account several aspects of a patient's features, as we all have ingrained expectations about natural hair zones. Because of our intuition about natural hair zones, unnatural hair zones can be easy to spot. One of the most important considerations in creating a fuller hairline is the positioning of the lowest point of the central hairline. If it is too low, or does not correspond with the temporal hairlines, it will look artificial. Our patients can, however, can enjoy superbly natural-looking hairlines with our adept placement and staggering techniques. One of the things that set our doctors apart is the longevity of the results they provide. Each patient's hairline is designed to not only look great now, but to continue to appear natural for years to come. When you visit us for a consultation, our doctors will use cutting-edge technology to predict future hair loss rates and patterns. Creating this personalized model allows for the creation of a treatment plan that takes into account, and can even disguises, future hair loss. To learn more about how True & Dorin can help you achieve a natural hairline, make an appointment at our office today. We look forward to using our expertise to help you.